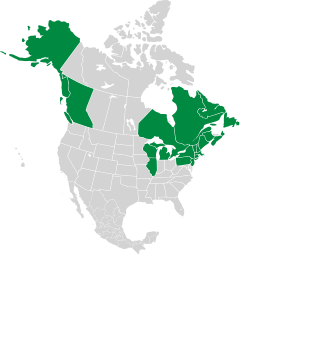 Wall hawkweed is a European native that has found its way to North America prior to 1900. 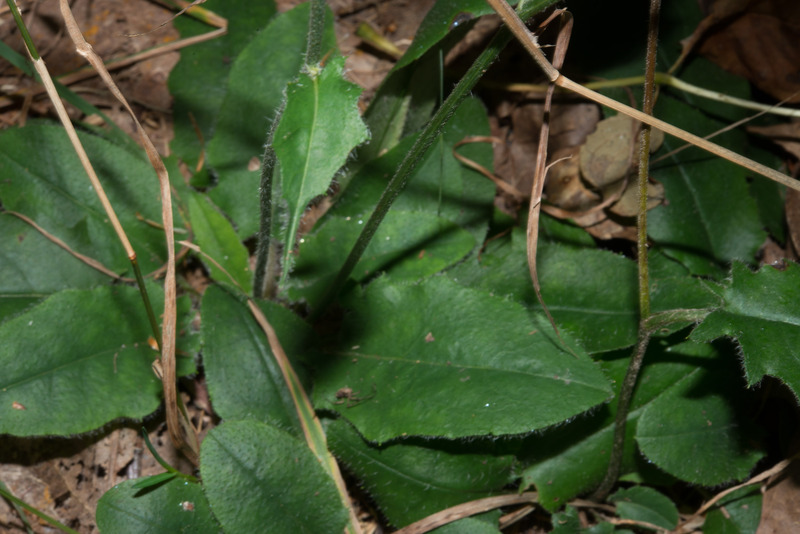 The rather curious name comes from its affinity for rocky slopes and walls. 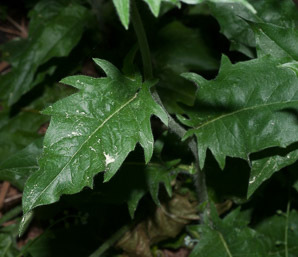 Identification: Plants are 10-24" (25-60 cm) in height, with hairy stems. Only 3-6 leaves appear at the base of the plant, sometimes with two or three more on the stems. 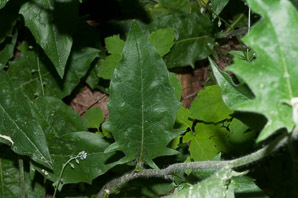 Leaves are elliptic, 1¾-4" (5-11 cm) × ⅞-1¾" (2.5-4.5 cm), sometimes mottled with purple. 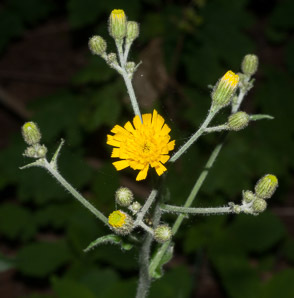 Leaves are unusual in shape, wide at the base, with large, forward-pointing teeth that fall somewhere between the designation of “tooth” vs. “lobe.” Flower heads appear as 5-8 corymbs. 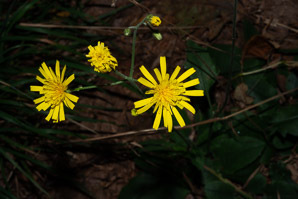 Flowers are yellow, with 30-50 or more florets, about ½" (1.3 cm) in size. They flower in June. 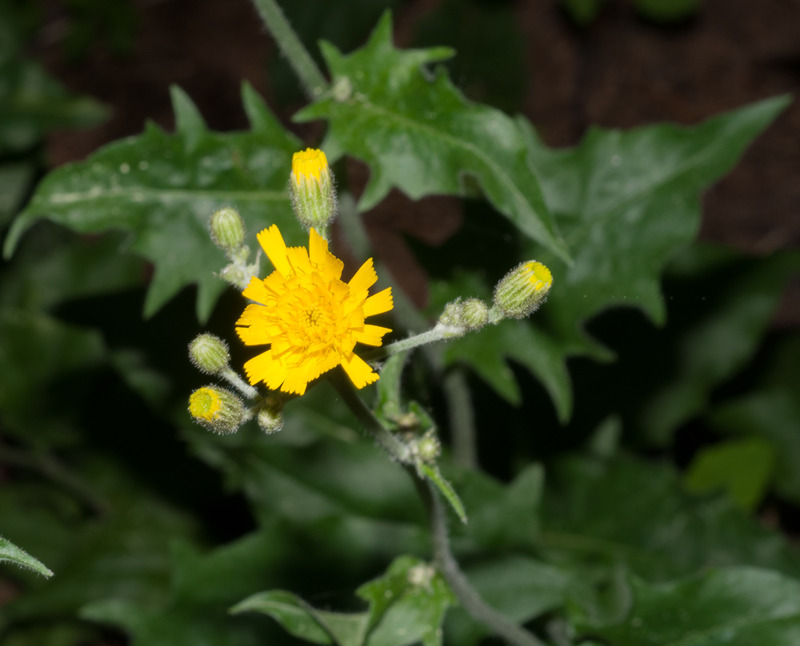 Hieracium murorum description by Thomas H. Kent, last updated 12 Oct 2018.